Fill out the contact form, or call us at (559) 237-7215 today to arrange for Hope Now young men to come help you with your project. They are dependable, courteous, and hard workers. Call our office and speak with Sergio for more information on how the odd job program works. We are impressed by this organization and their assistance and dedication to young men in our community. The staff at Hope Now helps so many employees and employers, their never-ending love and support cannot be measured. Our company has been truly blessed to hire young men from Hope Now For Youth. 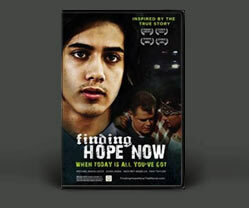 We have a long and successful history of working with Hope Now For Youth. We are proud to have placed a number of their clients with the employers we serve. Many have been hired from temporary positions to full time employment. Fresno Plumbing & Heating, Inc. has been a proud sponsor and partner with Hope Now For Youth for over 20 years. We are only where we are today through the grace of God and look forward to a future supporting Hope Now For Youth–mutually benefitting by gaining dedicated employees and contributing to the betterment of our community. I’ve had a great experience working with Hope Now For Youth. The organization is a helpful resource that we can turn to when we are looking for candidates for employment. We have found employees hired through Hope Now have a good attitude, are respectful and grateful for the opportunity.